Saracina Vineyards is a joint project of John Fetzer and his wife, Patty Rock. Working with winemaker, Alex MacGreogr and consulting winemaker, David Ramey, they have created a boutique (5000-case) Mendocino County winery producing Sauvignon Blanc, Petite Sirah, Syrah, Zinfandel and Pinot Noir. 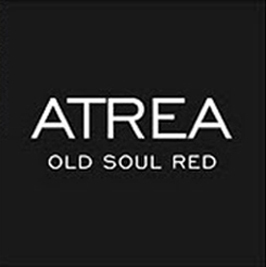 Their second brand, Atrea, focuses on Rhone-style blends (Old Soul Red Wine and The Choir White Wine). The wines are sourced from organically farmed vineyards and are note-worthy for their artisanal winemaking protocols and lush California fruit. Contains the oldest Syrah planting in US-103 years old. The Mendocino County wine is an appellation that designates wine made from grapes grown mostly in Mendocino County, California. The region is part of the larger North Coast AVA and one of California's largest and most climatically diverse wine growing regions. Mendocino Wine Country begins about 90 miles north of San Francisco in the inland valleys of Mendocino County. Due to the varied terrain and expansive range of microclimates, Medocino is able to produce an impressive variety of grapes that create superior wines. Nearly 25% of the acreage in Mendocino County is grown organically. Mendocino is home to some of the country's foremost sparkling wine producers. Pinot Noir is also a big player in Mendocino, and enthusiasts will find much to celebrate in the area's growing number of "cult" Pinots.